I have added a Canon XL2 camera setup to my road trip gear and will be shooting some video on some of the trips I take. 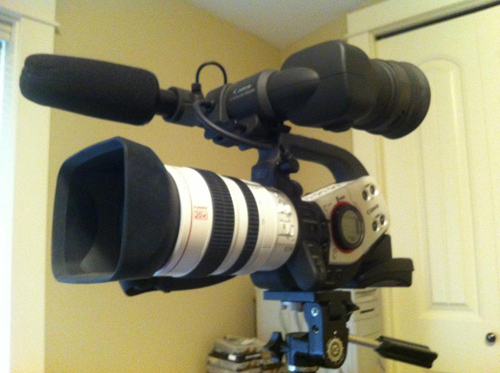 This will be my primary video camera, and features the standard 20X fluorite lens as well as a 3X wide angle lens. In the future I’ll be experimenting with some professional and DIY equipment for steadicam/dolly/crane type shots. I will also use my iPhone 4 for some video where lugging around the Canon doesn’t make sense. A GoPro dashcam will also be added in the future.